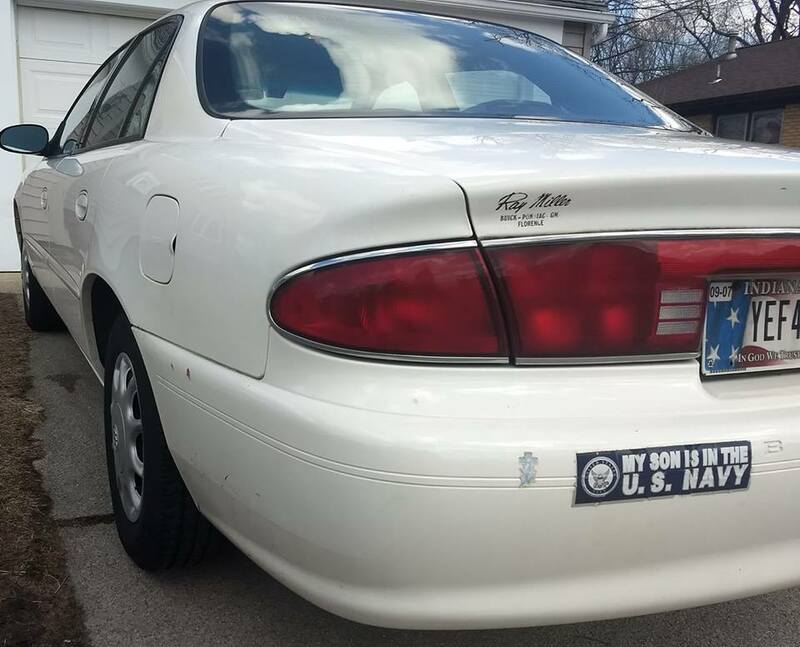 When my son Jack Adams was born in Oxford in 1992 I had no idea that a bumper sticker connected to him would alert me to a “dumb dorey” I had done. My late Uncle Everett, who lived in Ackerman, Mississippi for many years, used to use the words “dumb dorey” whenever his alma mater Mississippi State has come up short in a football game, which was a lot back then. “Ah, Floyd,” he would say to my dad, who did not like being referred to as his middle name Floyd, “State went and dumb-doried it away against (fill in the blank – Alabama, LSU, Tennessee, etc).” I have no idea if I am spelling “dumb-doried” correctly or not, but back to the point of this column. kinds of neighborhood streets so we went about trying to find a place as close as possible, seeing as how it was smack dab in the middle of winter. “There’s nothing south about South Bend,” former Notre Dame coach Lou Holtz used to say about nearby South Bend. We got into the building and it was packed with folks and a slew of little kids out on a school night to see the big circus. As starting time arrived, I heard the fellow announce something about someone needing to move their car. I thought to myself I wished those people had the common sense to park in the right places. It wasn’t long before the fellow got more serious. “We CANNOT start the circus until a car is moved,” he said. He was a Shriner, so he had some warmth and urgency in his tone. “An elderly woman has arrived home from surgery and cannot get into her driveway,” he said. “Lord have mercy,” I thought. I hoped she had not driven herself home at night from surgery. I pictured her grimacing while holding gauze together, agitated a car was in her driveway. She probably looked like Clara Peller, the ‘Where’s the beef? !’ woman from the old Wendy’s commercials. I did some judging on the person that would block such a driveway and how I was thankful I was above such a thing. “Once again,” the Shriner with the microphone by the circus people boomed, “we must have this car moved!” He read the license plate again and thought to myself who in the world knows their own license plates except those with vanity plates. Then it happened. Uh oh. My ears twitched. At this point I ceased breathing. You could have told me my blood was turning from red to Mississippi State maroon and I would not have had more angst as that exact moment. The only thing that would have made it worse was if he had said her surgical wounds were opening from the wait outside her driveway. Why couldn’t he have said I was blocking the driveway of ‘a man that has arrived home after getting out of jail after a sentence for robbing Salvation Army kettles?’ That would have at least given me some leeway. As it was, about 2,000 folks were miffed that their kids and grandkids (about 800 that were 5 to 7) were ready for the circus and some yahoo’s Buick was keeping ailing Elma from the house and them from the show! Stunned, at this point I knew I had to get up and go to the car. I realized EVERYONE would see the one person moving and know that was the LOSER BUM that had to find a close spot instead of being a RESPONSIBLE AMERICAN and parking in a LEGITIMATE space several blocks away from the LaPorte Civic Auditorium. If I could have stuck my head in the lion’s mouth at that exact moment and had it all be done with, I would have done so, but I got up and started the walk up the stairs and towards the exit. Hundreds of heads swiveled towards me. “There HE goes,” they no doubt thought. I went outside in the snow and ran to the spot. I could not bear to look at the woman coming home from surgery and I got in the car, slumped over, and moved it pronto. I went two blocks and finally found a place. When I got out I noticed a sign that read ‘No Parking past this point’ and saw that the tip of my white Bucky Century with a US Navy bumper sticker was perilously close, but it would have to do. I walked three blocks back thinking that if they recharged me to get back in I was going to have a “conniption fit” as my Aunt Mary in Greenville used to say. As it turns out, several Shriners were there at the door and they could not have been nicer. They slapped me on the shoulder and thanked me for going out so quickly. That was better than a lawyer greeting me with news that if the poor lady keeled over then I was liable. I worked my way back to the seat thankful that the audience was focused on the woman throwing the ax towards the bullseye underneath the man’s midsection and settled into what was a wonderful show. About an hour in I did turn to Beth and say, “Wouldn’t it be something if they announced that another woman had arrived home from surgery and that Buick Century is blocking her way in?” She laughed at that one. I just shrugged. It’s several weeks later now and like everyone else I have done more dumb things, but that’s life. No matter how bad a day you may have had before your read this, at least you didn’t leave your parked car on a cold winter night in the driveway of a woman coming home from surgery!